KERA is re-broadcasting the documentary, Sweet Tornado: Margo Jones and the American Theater, tonight at 10 p.m. in honor of the theater legend’s 100th birthday. If you’ve not seen it, you need to catch up with one of the great women in theater — who died tragically before the movement she espoused really came into being. Sweet Tornado airs tonight, Monday Dec. 19, at 10 p.m. on KERA. The television documentary, Sweet Tornado, was the unexpected and happy by-product of — of all things — a theater critics convention. Sweet Tornado: Margo Jones and the American Theater is the 2006 TV program about the Texas theater pioneer, Margaret Virginia Jones. It’s being re-broadcast by KERA next Monday, Dec. 19, in honor of Jones’ 100th birthday (which is actually today, December 12th). The documentary, narrated by Marcia Gay Harden, features actress Judith Ivey as Margo — and includes interviews with playwrights Horton Foote and Jerome Lawrence, actor Ray Walston and, well, me. Kay Cattarulla, the founder of Arts & Letters Live at the Dallas Museum of Art, helped produce, direct and write the documentary, the first time she’d ever done any of those things for television, so it’s quite remarkable. Kay was inspired by a visit to the Magnolia Lounge in Fair Park in 1995. 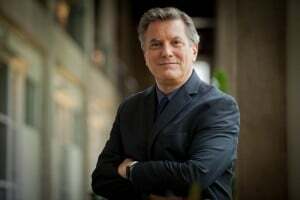 The American Theater Critics Association was in town for its annual conference. As the then-theater critic for the Dallas Morning News, I’d arranged the panel discussion about Margo Jones at the Magnolia Lounge, the building where Jones helped start the American resident theater movement in 1947. Originally built as a ‘comfort facility’ for the Texas Centennial in 1936, the tiny, art-deco-ish building had fallen into disrepair when Jones transformed it into Theatre ’47 — eventually helping launch the careers of Tennessee Williams and William Inge. She also staged the world premiere of Inherit the Wind, the anti-fundamentalist drama that had been turned down by Broadway producers as too controversial to stage. Yet Jones managed it here — in Texas. Even more than all that, Jones championed a decentralized American theater, a theater free of the commercial (and parochial) constraints of New York and Broadway. She encouraged theaters in towns across the United States to start producing original work on their own and not depend on tours. She argued this should be done with professional actors and directors who lived in and were supported by the community. 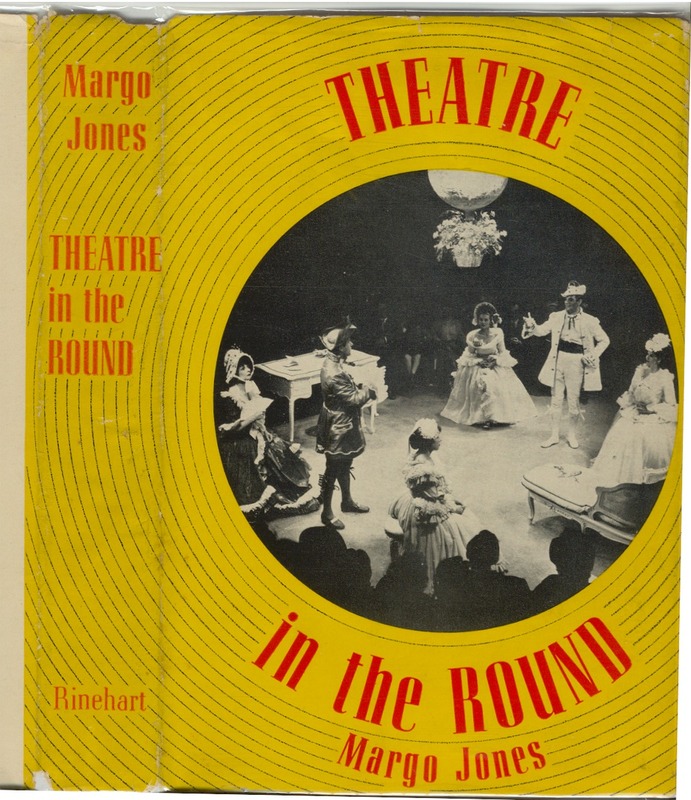 Her guidebook on how to do all that, Theatre in the Round, became what’s been called “the Bible” of the American resident theater movement (although the movement didn’t really take off until the ’60s when the Ford Foundation began giving grants to fledgling stage companies around the country). 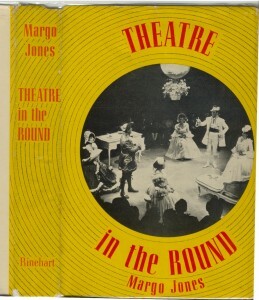 Jones was a big proponent of the theater-in-the-round staging (like Theatre Three’s configuration) because it saved on a show’s production costs, notably sets. You can’t have full sets blocking the view in an in-the-round configuration, so you use furniture, props and lighting to set your scenes. That way, fledgling companies could afford a full season of shows. And that way, what such productions lost in Broadway splendor, they gained in a tangible and emotional immediacy. For the assembled theater critics in 1995, all of this meant that a visit to Jones’ former theater was an important pilgrimage. And a surprise. It”s always a bit of a shock to see how small her theater at the Magnolia actually was. And the roof leaked. The panel discussion included Helen Sheehy, Jones’ biographer, author of Margo: The Life and Theatre of Margo Jones. As for what Kay Cattarulla was doing there, she came to the panel because she was curious about this Dallas woman she’d never heard of — and learned just what the ‘Texas Tornado” had accomplished. Jones had a spirit like an evangelist preacher (her fundraising plea to audiences was dubbed her “Come to Jesus” speech). Fortunately, when it came to impressing Dallas donors, she also had some serious ”street cred’ as a theater producer, educator and director. 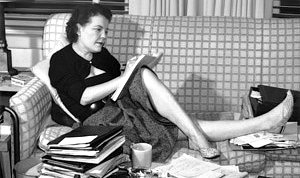 She’d worked with Hallie Flanagan at the Federal Theatre Project (part of the New Deal’s Works Project Administration). She’d toured the world studying theater (including Stanislavsky’s famous Moscow Art Theatre), taught at UT-Austin and had even co-directed Williams’ great breakthrough, A Glass Menagerie, on Broadway. It certainly didn’t hurt that, in person, Jones could be a force of nature (hence Tennessee Williams’ nickname for her, the Texas Tornado). 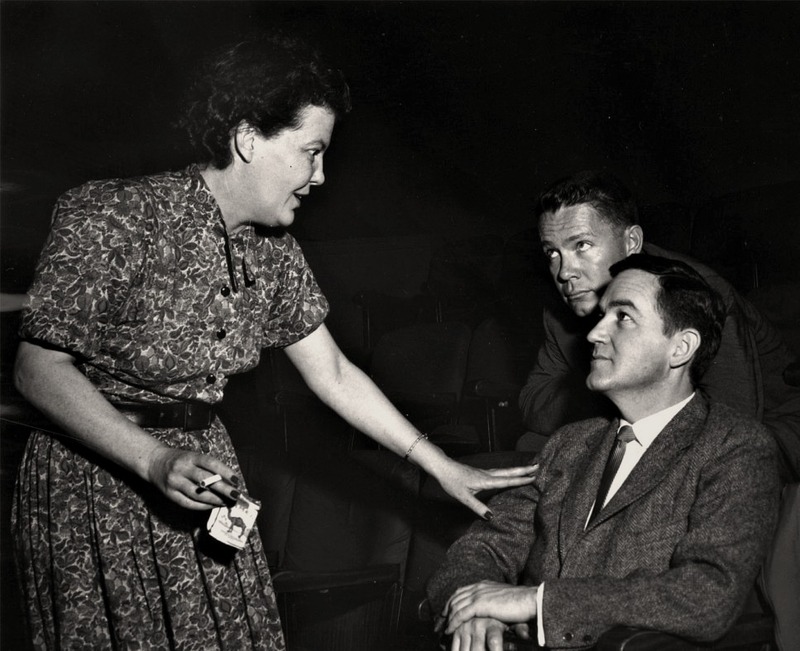 Along the way to creating Theatre ’47, Jones had inspired and cultivated actors (including Ray Walston and Jack Warden) along with crucial theater critics whom she turned into boosters (Brooks Atkinson of the New York Times, John Rosenfield of the Dallas Morning News). She energized not just Dallas audiences — Nina Vance, the founder of Houston’s Alley Theatre, was one of her proteges. Yet Jones was also an early model for the dilemma many women would face only after feminism took hold in the ’70s and ’80s: Her professional success seemed to guarantee anguish and turmoil in her private life with men. But then, she was a hard-living Texas woman, who seemed to be powered by cigarettes, alcohol and amphetamines. They took their toll; even so, it was a shock to many when she died suddenly in 1955 — from the intake of carbon tetrachloride in her apartment at the Stoneleigh Hotel. The accident came on the heels of a wretched, drunken, romantic break-up (watch Sweet Tornado to learn what happened — the entire event is like some gothic scene from a Williams drama). After her death, with the eventual dissolution of her theater and its replacement by the Dallas Theater Center in 1960, her accomplishments were more or less forgotten. It wasn’t until Joseph Ziegler’s book, Regional Theatre: The Revolutionary Stage, came out in 1973 that Jones’ place in American stage history was re-affirmed. Ultimately, she was a trailblazer who left a trail. Today, there’s a Margo Jones Theater at SMU, and a Margo Jones Auditorium at TWU, where she graduated. Her theater’s old space, the Magnolia Lounge, is now home to Nouveau 47 Theatre, named for her original company, and there’s the local theater blog named for her, theaterjones.com. Ohio State University presents the Margo Jones Award (as part of the Jerome Lawrence & Robert E. Lee Theatre Research Institute) — its winners have included Christopher Durang and Marsha Norman. In fact, there’s the entire American resident theater movement.